It’s always a good feeling to give back, don’t you agree? 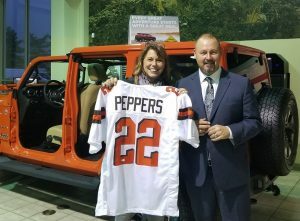 Each month at LaFontaine Chrysler Dodge Jeep Ram of Fenton, a raffle is held to raise money for a non-profit that is close to our hearts, right in our community – U CAN-CER VIVE. This creative approach was spearheaded by the store’s general manager, Sean Misko. 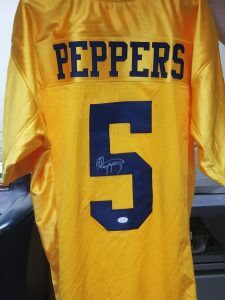 For those that don’t already know, the U CAN-CER VIVE Foundation was created in 2016 by Ryan and Kelley LaFontaine after Ryan’s battle with cancer provided him with a different outlook on life; wanting to give back in any way possible to those going through cancer in the state of Michigan. With a mission to provide vital funding and support for local cancer research grants, U CAN-CER VIVE aligns with our desire to support the community as often as possible. Join us and participate in our raffle! We have new prizes each month, and they are pretty cool, to say the least! 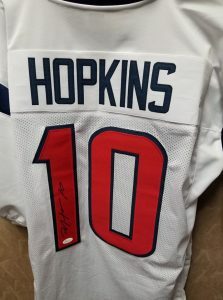 In the past, we have given away signed memorabilia, such as a Red Wings jersey! It’s a great way to give back, be involved, and to WIN! Stop in this month to purchase your tickets! Each ticket is just $2.00 and will be available right at the cashier’s desk. 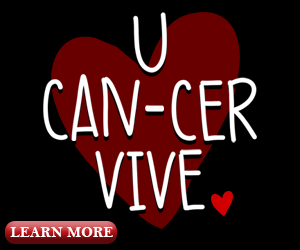 EVERY dollar received will be donated to U CAN-CER VIVE, where 100% of profits will provide vital funding and support for local cancer research grants in the state of Michigan. We will be drawing the winner’s name on the first day of the month, so be sure to get your tickets before then! Along with that, follow our Facebook page, LaFontaine Chrysler Dodge Jeep Ram of Fenton, to keep up with the latest prizes and winners.